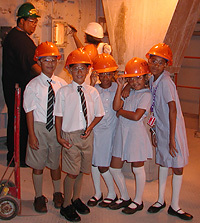 A tour of Tynes Bay Incinerator can be arranged for any group, whether it be school students or senior citizens. 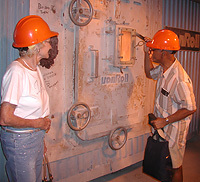 Please phone in advance to arrange a time for your visit. 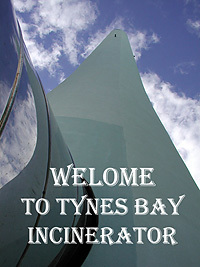 To see a short presentation on how the Tynes Bay Incinerator operates, please CLICK on the title below. To advance from slide to slide, just click the mouse or press the arrow keys on your computer. 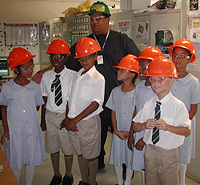 To return to this page, click the back button on your browser. This presentation will take a few minutes to download depending on the speed of your connection, so go get yourself a cup of tea or coffee and then come back and relax for the show.